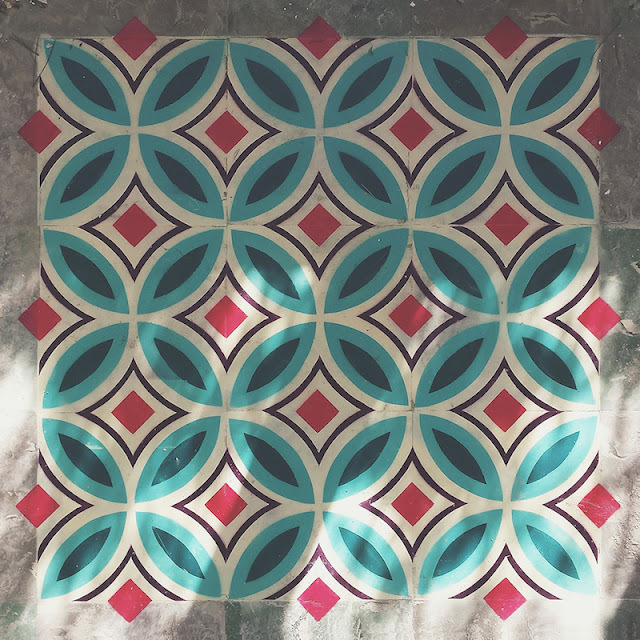 Bali Green : Welcome to Javier de Riba and his project FLOORS! 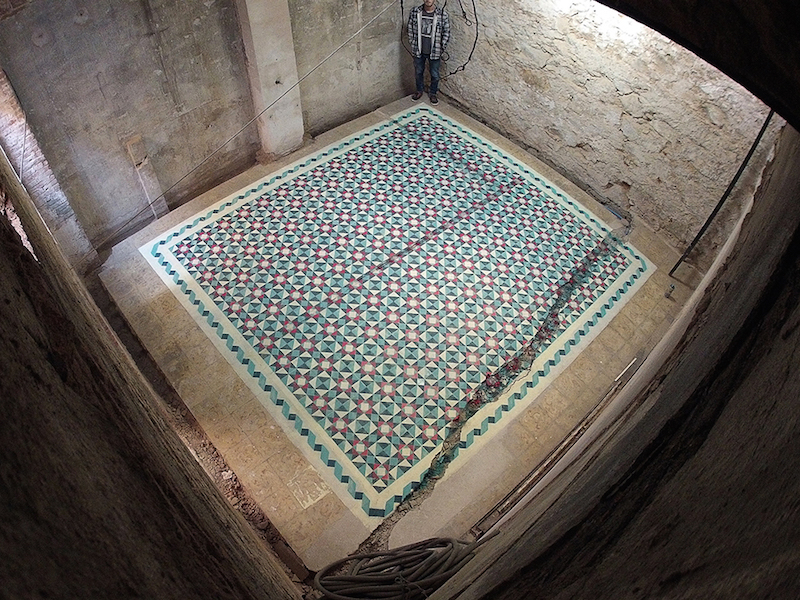 Welcome to Javier de Riba and his project FLOORS! We are very happy to announce, Javier de Riba is part of our team.From today, you can find the pieces of his latest project called Floors. 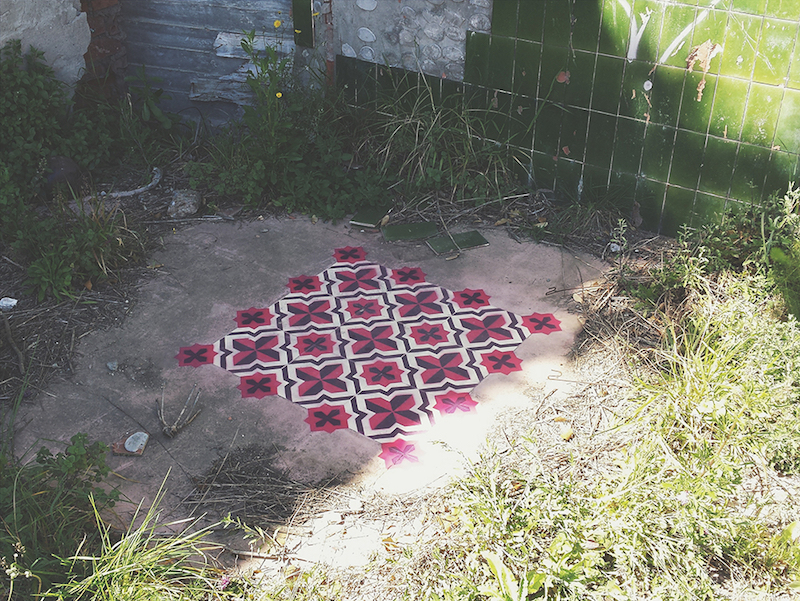 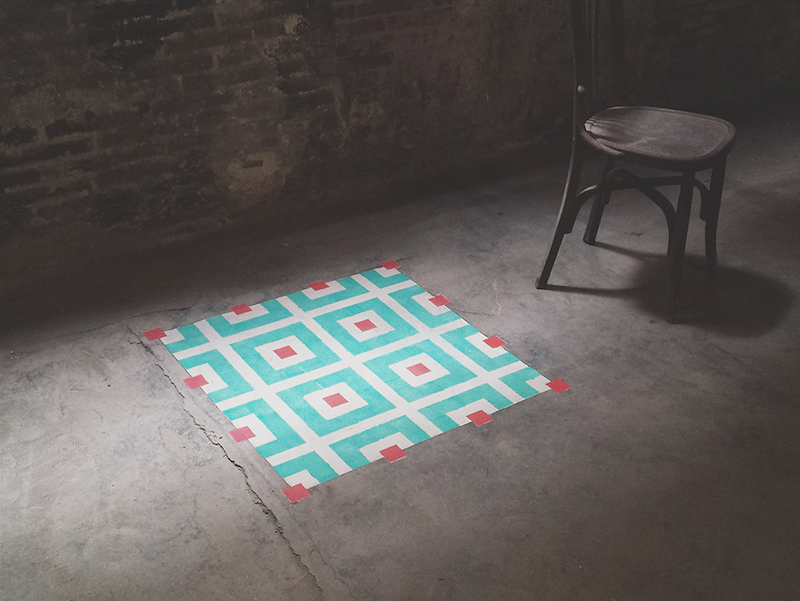 This project is about intervening the floors of different abandoned spaces. 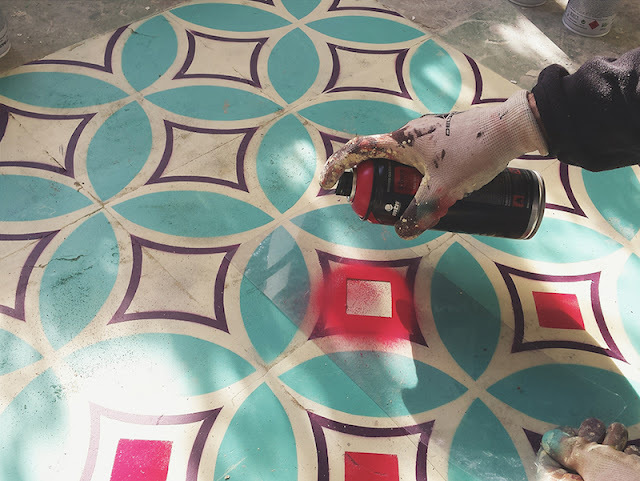 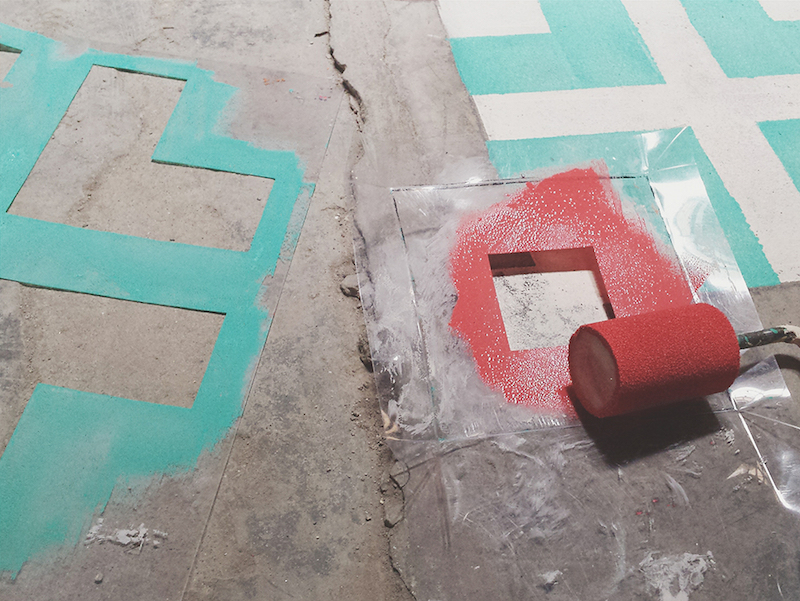 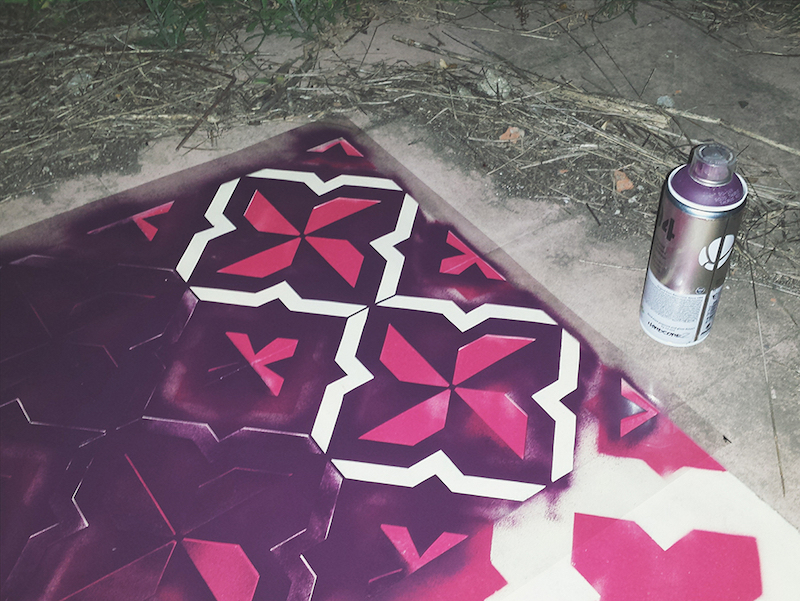 Bringing back the cement tiles aesthetic, giving a colourful change to these places. 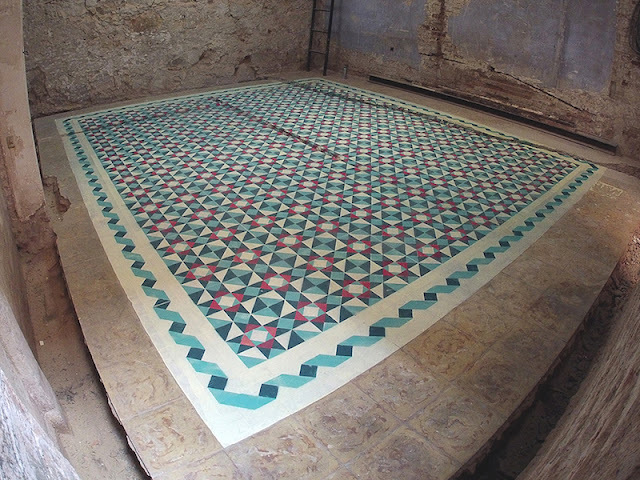 From the joints of each tile, expands geometric shapes forming an island inside of the room. 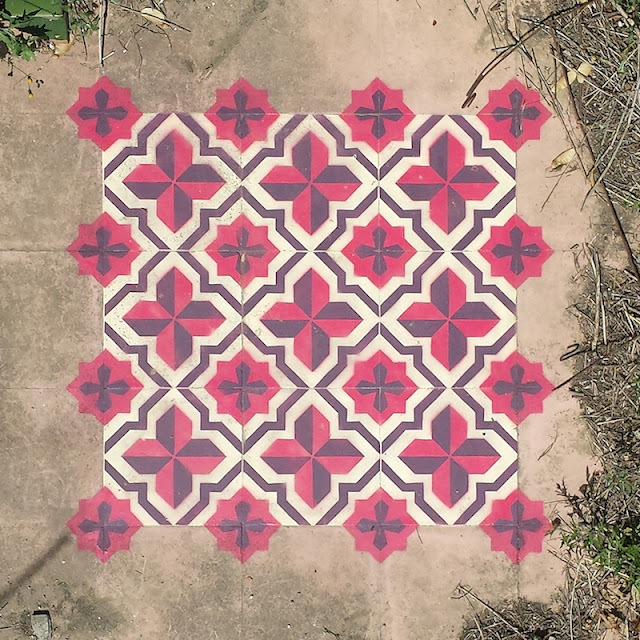 Each artwork represents the pattern of these interventions Javier completed during this year, sprayed in this case on parchment paper. Link to The Huffington Post article speaking about Javier de Riba's project.